Visit us each week to view two minute segments from the ABC noon news in Atlanta, featuring Montlick & Associates' Family Safety Advocate Jacquie Palisi. Research shows that most injuries are preventable through safety education and a little extra care. 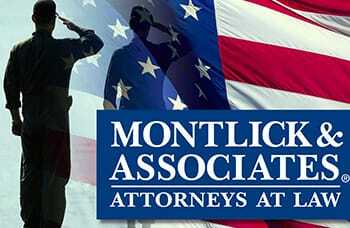 At Montlick & Associates we are committed to helping you prevent injuries. Please feel free to share this information with your friends and family, and sign up for our Free Safety Alerts and Legal Tips. Here are our 6 most recent 2 minute news segments and safety/legal tips. Use the search below for more topics. Run for the Fallen’s Race Honors Georgia’s Fallen Heroes! Run For The Fallen is a not-for-profit organization that helps raise funds and build awareness for charities created in honor of fallen soldiers from the State of Georgia. Watch the video to join Atlanta Accident Attorneys Montlick & Associates Director of Community Programs, Melinda Jeffress, in a special ABC news segment to learn more about the Fallen Heroes of Georgia 2017 5K on Saturday, March 18th, 2017. Click on the links below to register for this year's race and to view the firm's other military support programs. Montlick & Associates Thanks our Nation's Veterans! All of us at Montlick & Associates are so grateful for the incredible sacrifices our veterans have made protecting our freedom, and serving our country in times of both war and peace. As a sign of our appreciation, the firm has created a special tribute to honor our veterans today. Montlick & Associates would also like to invite everyone to join us in honoring all of our troops, past and present, by sharing photos of your loved ones in uniform. Your photo could be featured in one of our future television tributes. Click on the link below to submit your photos. The Georgia Secretary of State is the latest to recognize the Atlanta Personal Injury Attorneys as an "Outstanding Georgia Business" and "Goodwill Ambassador." In this week's special news segment on WSB-TV Channel 2, Montlick & Associates' Family Safety Advocate, Jacquie Palisi, and Director of Community Programs, Melinda Jeffress, share why the firms' public service programs continue to be an important part of their mission of support and safety in the community. Watch the video and click on the links below to learn more about the firm’s injury prevention and family safety programs and support of U.S. troops. When Should I File a Diminished Value Claim? The first concern after an auto accident is the physical well-being of those involved. But once the medical issues are addressed, it is time to focus on getting maximum recovery for your auto accident insurance claim. In this week's ABC News segment, Montlick & Associates' Family Safety Advocate, Jacquie Palisi, explains your rights to compensation for property damaged in an auto accident, including how and when to file a "Diminished Value Claim." View the video and click on the link below for important information on this lesser known aspect of the law. Teach Your Kids These Important School Bus Safety Lessons! Montlick & Associates' Family Safety Advocate Jacquie Palisi shares essential safety tips for parents as children travel to and from school. Watch this week's video, and download important School Bus Safety materials for both parents and children. In this week's special news segment on WSB-TV Channel 2, Atlanta’s car accident lawyers Montlick & Associates' Family Safety Advocate, Jacquie Palisi explains how an old smartphone, with no data service, can still be used to make emergency 911 calls. Watch this week's segment to learn more about how to use these emergency-only phones. Avoid Costly Mistakes When Filing Your Accident Claim! According to the Georgia Department of Transportation, approximately 2,500 people are injured each week in Georgia car crashes. In this week's video on ABC News, Atlanta Auto Accident Attorneys Montlick & Associates Family Safety Advocate Jacquie Palisi, reviews important steps that accident victims should take to protect their legal rights after a crash. Watch the video and click on the links below for additional information and to download the firm's Georgia Auto Accident Checklist, to print out and keep in your glove box. Aftermath of a Georgia Auto Accident: What Should I Do Next? Vote for the 2016 Most Deserving Military Family! It's time to cast your vote for this year's Most Deserving Military Family to send them on an all expense paid trip to a destination of their choice anywhere in the Continental U.S., presented by Atlanta personal injury attorneys, Montlick & Associates! The team at WSB-TV has selected the 5 finalists and now the public will determine the winner by voting online. Click on the link below to learn about the five families and to cast your vote for this year's winner. The voting process has begun, and votes will be accepted until 11:59 pm on Sunday July 17, 2016. The winning family will be announced the following week. Keep Your Family Safe Around Fireworks! Family Safety Advocate, Jacquie Palisi shares important precautions to take to keep your family safe around fireworks this holiday. Download our Parent's Guide to Fireworks Safety below to help prevent fireworks-related injuries and possibly even save a life. Insurance companies try to save money by avoiding valid claims for compensation by stonewalling, undervaluing or denying claims outright. Some insurers may attempt to drag out an insurance settlement by holding back payment until a settlement is reached. Watch this week's segment on ABC News Atlanta to learn how to protect your rights after an accident, how to avoid common insurance company pitfalls and get maximum compensation and benefits from your Georgia accident claim. Nominate a Most Deserving Military Family Today! Do you know a deserving military family? It's time to nominate them for the Montlick & Associates 2016 Most Deserving Military Family Contest! The winning family will receive a family trip to their choice of destinations in the Continental U.S. The four secondary winners will each receive a two-night stay at The King and Prince Resort, St. Simons Island, GA. Watch this week's segment on WSB-TV Channel 2 Atlanta, and click on the link below to nominate a deserving military family. Nominations close on Sunday, June 19. Good luck to those who enter this year's Most Deserving Military Family Contest. The Atlanta personal injury lawyers, Montlick & Associates, wish you all the best! Memorial Day is a day of national remembrance, a time to pay tribute to those who have given their lives in service to our country. Please join Atlanta car accident lawyers Montlick & Associates Family Safety Advocate Jacquie Palisi, and Director of Community Programs, Melinda Jeffress, in a special WSB-TV Channel 2 news segment honoring Georgia's Fallen Heroes. Click on the links below to view additional tributes airing on CBS Atlanta and stations throughout the state this holiday weekend. The Atlanta Families' Awards for Excellence in Education (AFAEE) understands how critical teacher and leader quality is to ensuring that every child receives an excellent education. In this week's segment on ABC news, Atlanta Auto Accident Lawyers, Montlick & Associates' Director of Community Programs, Melinda Jeffress and AFAEE Executive Director, Amber Stewart share the profiles of the final two of the eleven 2015 Atlanta Families' Award winners. Watch the video and click on the links below to learn more. Georgia's Move Over Law: Proven to Save Lives! Montlick & Associates' Family Safety Advocate, Jacquie Palisi, discusses Georgia's Move Over Law - a law designed to reduce the number of injuries and fatalities to police officers, emergency personnel and roadside workers while on the job. Watch our weekly segment on ABC News and click on the links below to learn more about this important law and what you can do to help keep you and your family safe on the road. Avoid This Common Problem When Filing Your Auto Accident Claim in Georgia! One of the most common problems people face when filing an auto accident claim in Georgia, is that the insurance company will try to shift the blame to them, even though the accident was not their fault. In this week's special news segment on WSB-TV Channel 2, Georgia car accident attorneys, Montlick & Associates' Family Safety Advocate, Jacquie Palisi, gives examples of what you can do to protect your rights after an accident, and how the firm's experienced personal injury attorneys help clients get the most compensation when filing an accident claim in Georgia. Watch the video and click on the links below to learn more about the firm's practice areas, and their recent honors from the Georgia House of Representatives. Montlick & Associates' Family Safety Advocate, Jacquie Palisi, shares helpful tips on what to do at the scene of an automobile accident and when it is necessary to notify police. The firm has created a convenient and helpful guide, the Georgia Auto Accident Checklist, to keep in your vehicle's glove box. We hope you will never need to use it, but they are very helpful tools to have if you are ever in an accident. Uninsured Motorist Coverage: What Georgia Drivers Need to Know! In this week's segment on ABC News, Montlick & Associates' Family Safety Advocate, Jacquie Palisi, shares important information about Uninsured Motorist coverage - also known as Underinsured Motorist coverage, and how this type of insurance protects you and your family after an accident. Watch the video and click on the links below to learn more about how this vital coverage works, and what steps you need to take to properly insure your family. The Atlanta Families' Awards for Excellence in Education (AFAEE) understands how critical teacher and leader quality is to ensuring that every child receives an excellent education. In this week’s segment on ABC news, Georgia Accident Attorneys, Montlick & Associates’ Director of Community Programs, Melinda Jeffress and AFAEE Executive Director, Amber Stewart share a profile of three more of the eleven 2015 Atlanta Families’ Award winners. Watch the video and click on the links below to learn more. At Montlick & Associates, each Atlanta car accident lawyer understands how stressful life can be after an accident. Family Safety Advocate, Jacquie Palisi, explains how our team is dedicated to helping you recover as quickly as possible - not just physically, but financially and emotionally as well. Watch our video to learn how we navigate through the insurance company's claims process to help get our clients the compensation they deserve. 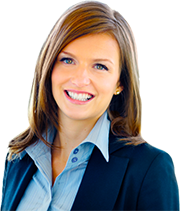 For a free consultation, simply call 1-800-LAW-NEED or click on the link below. Fire Hazard: Improper Storage of 9-Volt Batteries! In this week's ABC News segment, Montlick & Associates Family Safety Advocate, Jacquie Palisi explains the potential fire hazard caused by improper disposal and storage of 9-volt batteries. Watch this week's segment on WSB-TV Channel 2 Atlanta to learn 9-volt battery safety, storage and recycle tips.